"To say that the group of men I found at Liskow & Lewis in Lake Charles was extraordinary would be a gross understatement. It was a remarkable collection of fine men and superb lawyers. All were of impeccable character, strong family men, blessed with wonderful senses of humor, and warm and friendly dispositions. The firm members seemed to enjoy each other and were close in their personal relationships. From the very beginning, there was an informality that was quite wonderful." 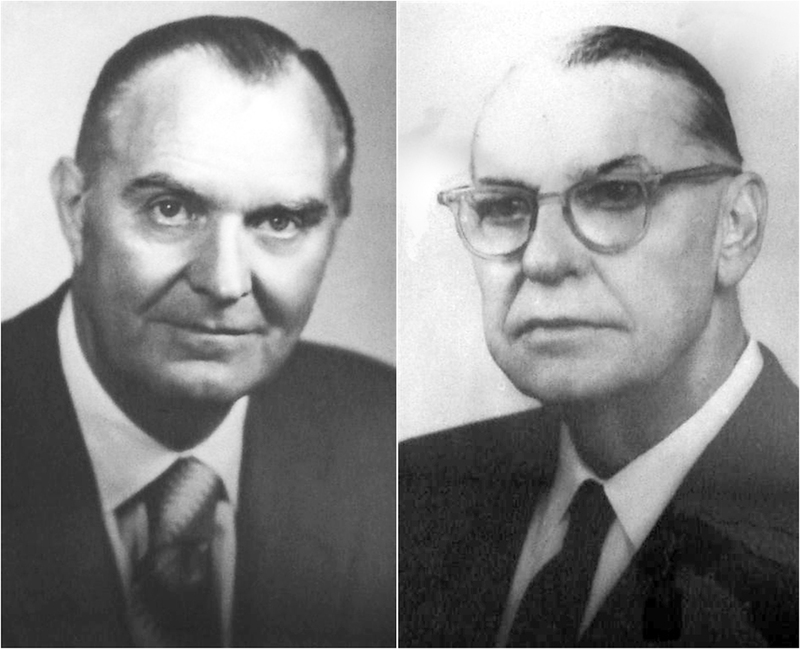 In 1935, Cullen Liskow and Austin Lewis joined together under the firm name Liskow & Lewis. What began as a single group practicing law in Lake Charles, Louisiana, has grown into nearly 140 lawyers in four offices, New Orleans, Lafayette and Baton Rouge, Louisiana, and Houston, Texas. Since the beginning, Liskow & Lewis has focused on serving the oil and gas and energy industry. Widely recognized as leaders in the development of Louisiana mineral law, today the firm's lawyers serve clients along the Gulf Coast and across the United States. 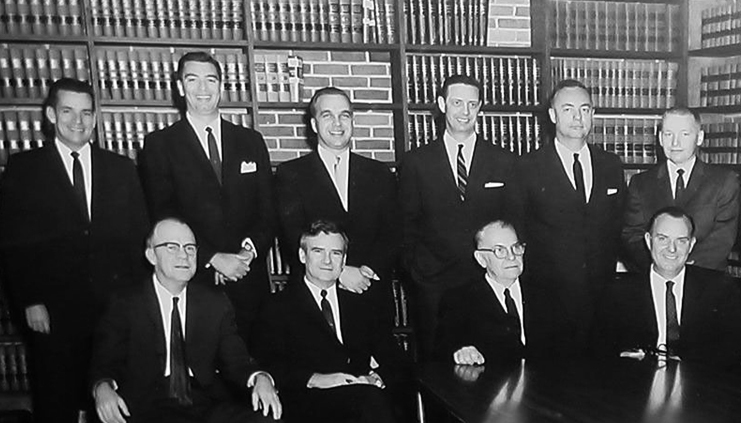 Continue reading for a glimpse of the firm's founders and early days. Cullen Liskow was known to the firm as “the Boss,” or “Chief.” He was born in Houston, Texas in 1893. He moved to Lake Charles in 1912, and worked as a legal secretary for Messrs. Arsene P. Pujo and W.B. Williamson . 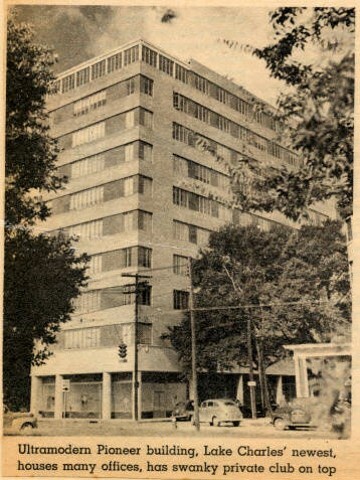 Mr. Liskow studied the law in their offices and was admitted to the Louisiana bar in 1917. Liskow practiced alone until September 1935, when he became associated with Austin Lewis under the firm name Liskow & Lewis. Liskow had a gruff appearance and manner, but underneath all this, he was a warm and generous (and brilliant) gentleman who loved all of those at the firm. He had an enviable reputation for his participation in landmark cases that shaped the rules of mineral law in this state. And he handled other important cases as well. For example, he won the decision of the U.S. Supreme Court in Brimstone Railroad Company v. United States, which involved the power of the Interstate Commerce Commission to prescribe rates for the Brimstone railroad, a stretch of track ten miles long running from the sulphur mines to an interchange with the lines of the Southern Pacific and Kansas City Southern. The decision was of great significance to the transportation industry and was of nation-wide interest. Austin Lewis was an extraordinary lawyer, very charismatic, and an unbelievable “people person.” His legal skills earned him the respect and admiration of all that knew him, whether they were older, contemporary in age, or younger. And this was true of adversaries as well as those who worked on the same side. Austin was raised in Sulphur, Louisiana, and attended the University of Southwestern Louisiana (now Louisiana University at Lafayette), and then was valedictorian of the Tulane Law School in his class. Austin essentially authored Louisiana’s conservation law, which was a model for the conservation of resources in the exploration for and production of oil and gas throughout the nation. He was the dean of the practitioners before the Commissioner of Conservation representing members of the oil industry and President of the American College of Trial Lawyers. A number of Austin’s cases were particularly noteworthy in the field of oil and gas law. He had tremendous success for the firm's clients because of his keen mind and his superb writing abilities.